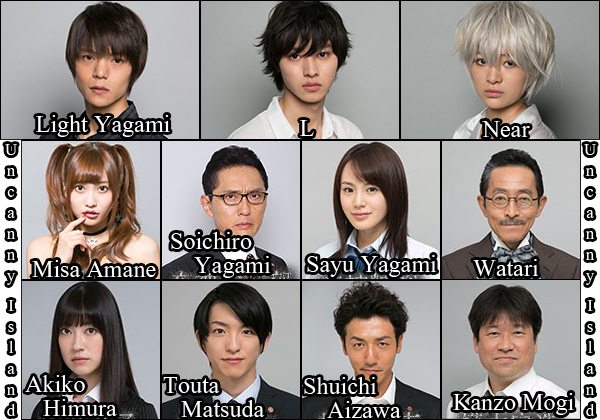 Cast: Masataka Kubota as Light Yagami, Kento Yamazaki as L, and Mio Yūki as Near / Mello. I almost forgot that the previous Death Note is just 2 movies series with one spin-off film. This is drama live action remake, 11 episode means it just slightly longer than previous movie live action. 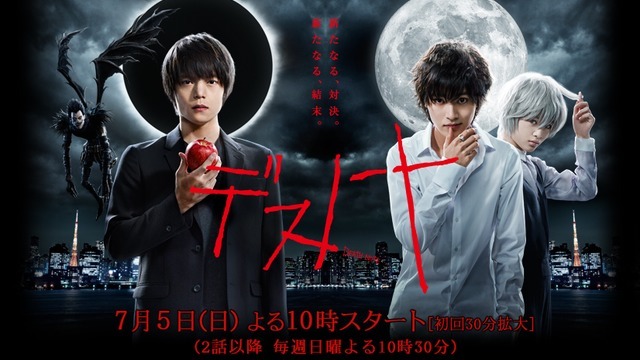 Still using same background and character, the drama revolve around Yagami Light using Death Note to punish criminal but too bad there’s genius detective L that hunting him. So here’s my opinion on this drama. Spoiler alert, so it best if you just watch the drama first if you haven’t done so. It it as good as movie version. First of all I do feel disappointed that Light in drama version (played by Masataka Kubota) is less cute than Tatsuya Fujiwara (hahaha…okay gomenasai). 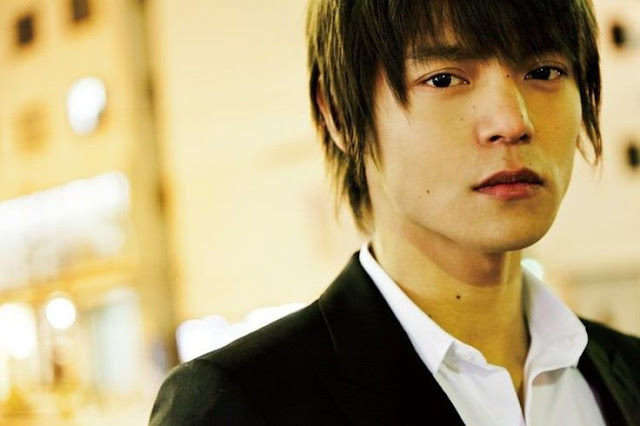 But as the drama progress, you can see why he is chosen for this role. He totally nail it. He totally deliver the emotion of normal Light and when he was possessed by the Death Note. If in the previous movie, more attention drawn to L eccentric behavior compare to Light, but in this drama we can see more of Light changing emotion and behavior. The struggle of being Kira. 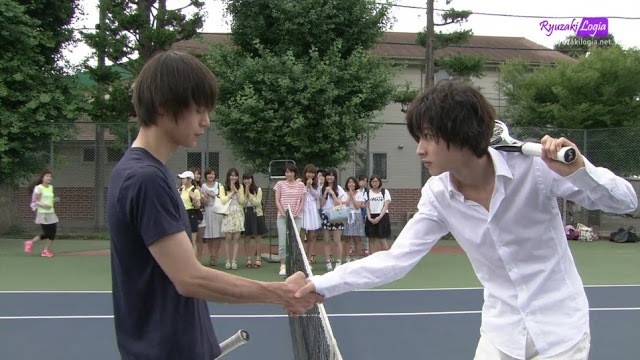 Kento Yamazaki do great job as L here anyway. Of course he cannot the same as movie version L, he look more normal yet charismatic genius. It explain on why L holds things in weird way: L is sensitive to dirt, even people coming in was spray with disinfection, so he hold things like notebook with just 2 fingers. I love this kind of small detail. One big different about this drama and previous movie is probably Near. Near is introduce to viewer since start of drama, then taking over the investigation upon L death. Too bad L die too early…sob sob. I wonder if Near suppose to be male or female? I like that at the very end, L shows that he want to believe Light is actually a good guy. How if not because of the notebook, he probably become great police officer. The notebook is indeed a curse for him. At the end of the drama, there’s announcement on the 2016 new movie. They showing preview where after 10 years, 6 notebooks was fall to human hand again. What interesting is that they show clips of Tatsuya Fujiwara & Kenichi Matsuyama instead of new cast. I’m curious on how they going to do this…haha. Think about this again, now I notice that the setting of this drama is bit old. A lot of character still using flip phone although now it is more common to use touch screen phone (it hard to say coz I know Japanese is good in taking care of their belonging, thus it is logic that some of them still using old technology). I keep wishing that Light is not dead, and as he lost his memory on Death Note, he become great police detective…and after 10 years, work again with Near to combat new Kira. There will be great twist on if he touch the Death Note again & regain his memory again…and get possessed again. Perhaps this time he fight his own desire…who know…this is just my small wish…lol. Can’t wait for the new movie to be release. Meantime i probably re-run the show to see the small details..LOL. p/s: longgg time ago, i had write about Death Note the movie. You can read it here, but sorry it is very skema BM writing…haha.